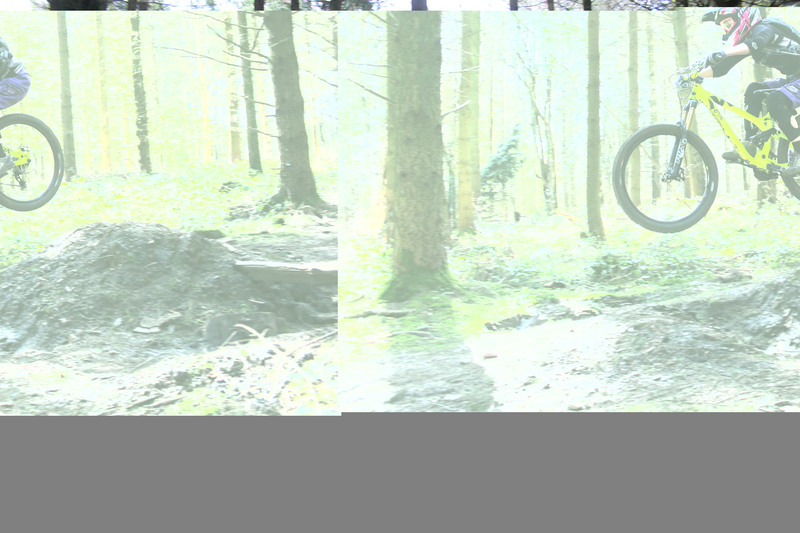 Jumps, gaps and drops, air time anyone? Now we know getting the bike off the floor is not for everyone, but for those that stand and watch on from the side-lines eager to experience that exhilarating sensation of air we can help you achieve that goal. MTB Instruction often feed this skill set into its advanced coaching course if a client feels confident enough to attempt the obstacle. We approach this in stages so we can start with the ramps as featured in our “core skills loop” – or utilize the see-saw to enable the client to feel air under their bikes for the first time and most importantly that sensation and body position. We like to then move them onto table top scenarios were the client can practice getting the bike up, air time and landing on the transition ramp. We look for progression as jumping gaps is a technique that can be demonstrated but it’s the client that ultimately has to execute the discipline. 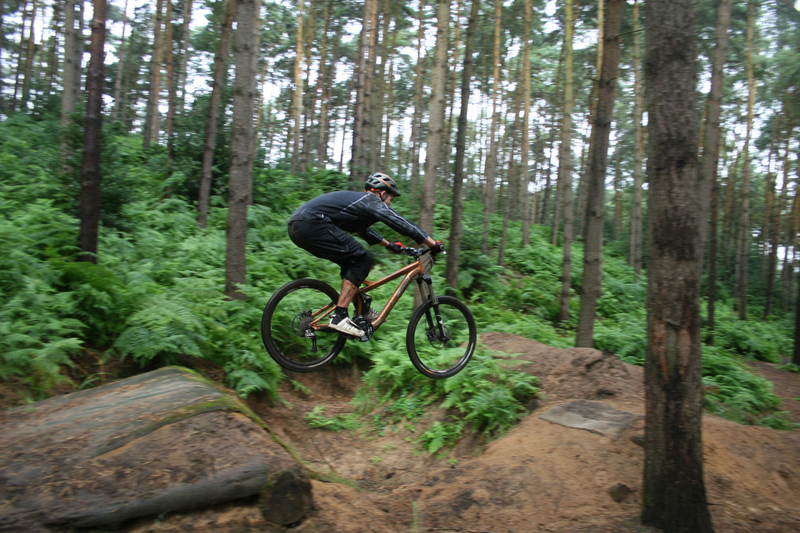 MTB Instruction coaches will lead you in as one of the biggest fears is approach speed and expanse to be cleared. So we try to start them small and build up to more progressive gaps. Drops, the same approach is adopted here with our clients building the confidence by demonstrations and trying to install confidence in the client to want to attempt the drop! Speed approach, body position, extending down if you want to get the bike down quicker but it’s the client that ultimately has to execute the discipline. 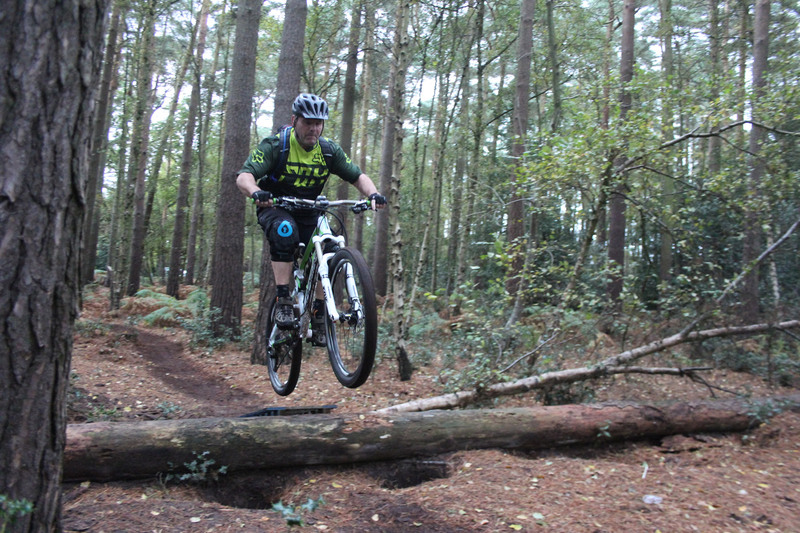 MTB Instruction have seen many clients overcome their fears and anxieties when it comes to these technical features, but with patience and confidence building coaching we can offer you that rush of being air born with the bike again adding to your ride portfolio. This is a very specialist skill area so we can tailor days that focus purely on these. 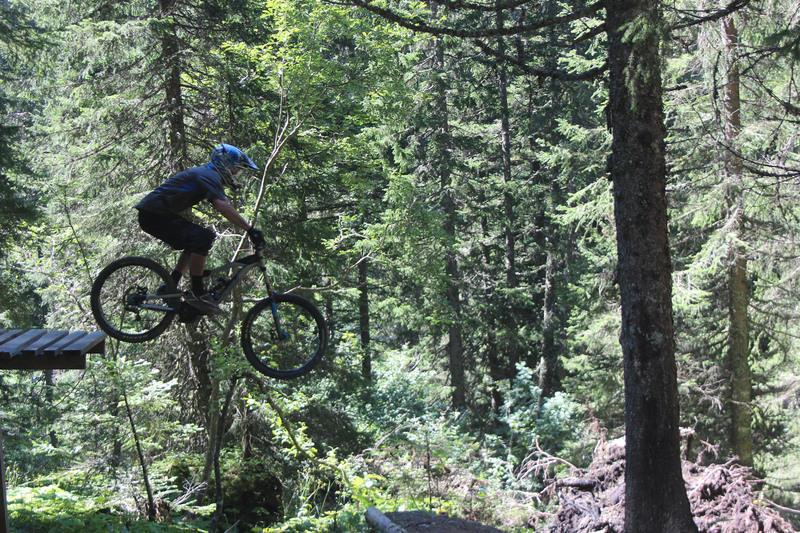 So if its air time that you want, then come and join us out on the trails for some exhilarating trail sessions and go hit those free-ride bike parks DH trails!